I'm forcing winter out the door by wearing pastels. Though, I wore this on Sunday when it was in the low 70s, so I wasn't being entirely out of season. CS Gems had a trunk show at an open house in a nearby subdivision. I can't ever turn down an opportunity to see Carrie and Stacy and shop their great pieces! I decided to wear a couple of new purchases. I told you guys on Friday that I ended up ordering my favorite gingham shirt in two other colors. This purple is perfect, I'm very happy with this purchase! This bag is also new from this weekend. There was a ridiculous sale at the Kate Spade outlet that was too good to pass up. This bag ended up being an extra 50% off the already reduced price. Since I didn't already own a rose gold bag, this purchase was a no brainer. 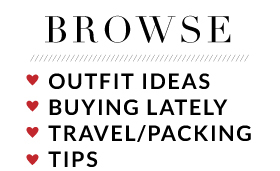 So what did I buy at the trunk show? Just a few goodies. I've been on a hunt for the perfect red stripe tee. The one I currently have has thicker red stripes, which doesn't layer as nicely with a smaller stripe version. The statement necklace was just too good - I have another statement necklace of theirs that I layer constantly with other necklaces, so I figured it was time to get a new one to share the responsibilities! And the mint top was just too adorable. It reminds me of another top I have that I really love, and the back detail of it is so much fun. We talked about doing another collaboration, so hopefully as the weather truly warms up, we'll have another shoot scheduled soon! 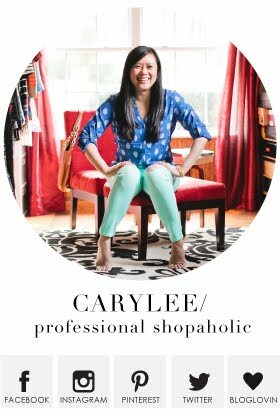 In the meantime, you can always shop their website using code CARYLEE15 to get 15% off your purchase! If you haven't checked out their clothing selection yet, you definitely should! Happy shopping! This is so good, I love this shirt in that color cannot wait to wear mine. Thanks so much Caryl! 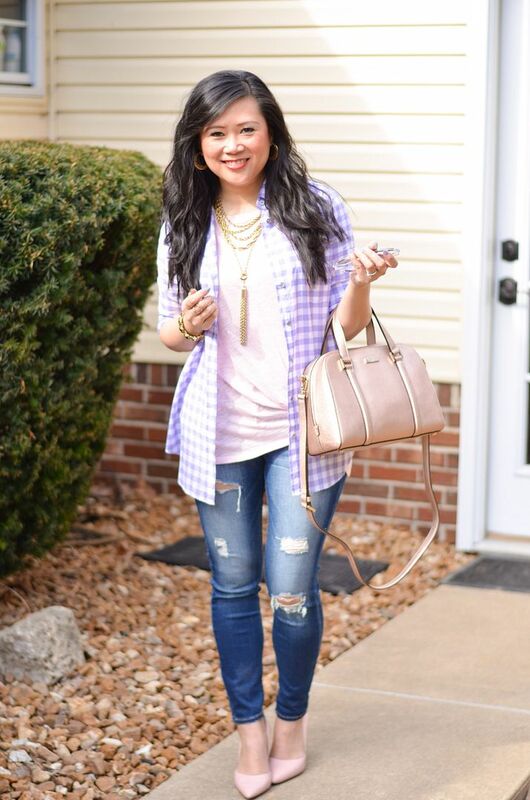 We loved seeing you and your outfit was so perfect for spring! Hopefully you get to wear your striped shirt to root on the Cards in spring training this weekend! We'll be in touch soon for another photo shoot! Love this Springy look! CS Gems sounds like such a fab shop, now I really need to check them out because that red striped tee is perfect! 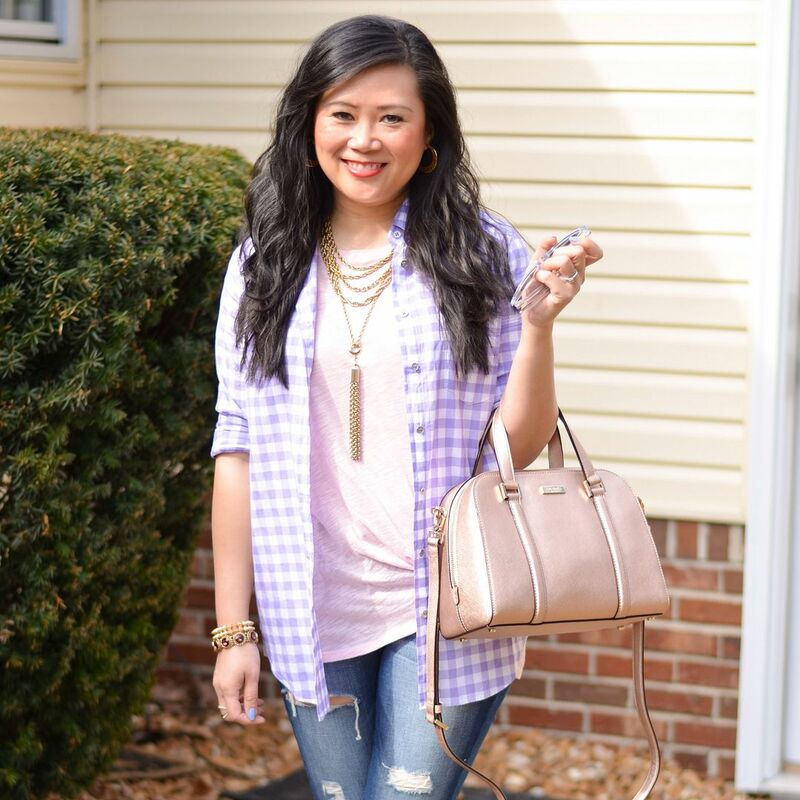 Gingham is one of my fav prints! 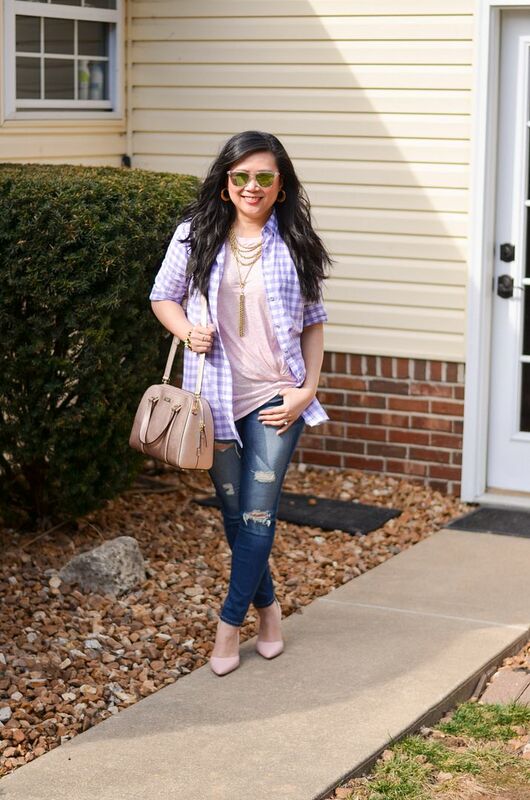 Love this color for Spring and those rips are stunning!